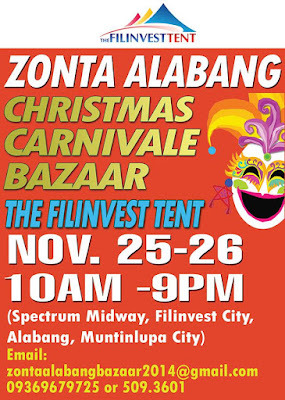 Zonta Alabang’s Christmas Carnivale Bazaar returns on November 25-26, 2017 at the Filinvest Tent. It’s the time of year again for decorating, celebrating and gift giving. The perfect time for the Zonta Alabang Christmas Carnivale bazaar. This year’s Christmas Carnivale bazaar promises to be a weekend of fun for the entire family. Join them for some magical acts, bubble shows, Enchanted Kingdom characters, face painting, a petting zoo, carnival games and more! For the older crowd, there will be live bands, an open mic, cooking demonstrations and wellness talks (learn about the benefits of essential oils!). 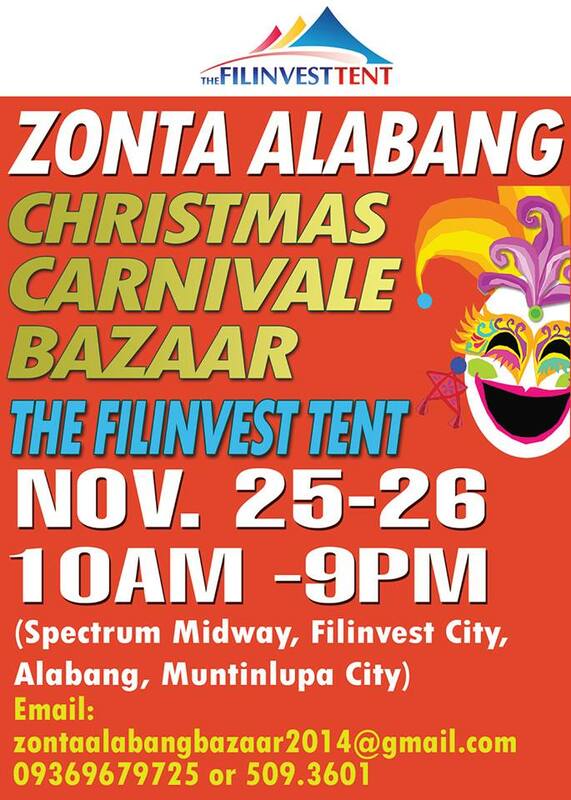 So, if you want to finish your Christmas shopping while your kids are kept busy with fun activities, don’t miss the Zonta Christmas Carnivale bazaar on Nov. 25-26, 2017 at the Filinvest Tent, Spectrum Midway, Muntinlupa City. Shopping hours are from 10 am - 9 pm.